Now, most of us have heard of this line time and time again (Don’t lie!). Some of us might even have been hooked to Spinach when we were younger because we truly believed that it made us stronger. But sometimes, a little voice inside our heads used to say, “oh, this is just a cartoon. This is not for real”. Irrespective of all this, most of us still believed in it, and some of our parents had even taken that opportunity to make us eat our vegetables back then. But the truth is, Spinach really is packed with nutrients and a lot more (Believe us!) We think, Popeye surely knows his greens! 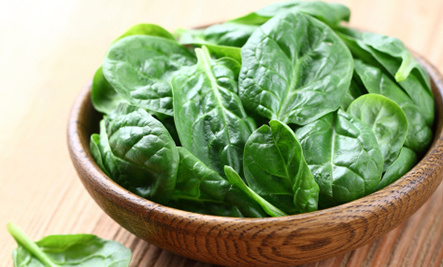 Coming to our darling Spinach, it is packed with tons of nutrients, such as Vitamins A, B2, B6, C, E, and K, magnesium, folate, manganese, iron, calcium, zinc, and omega-3 fatty acids,(Oh-Em-Gee! If that is not enough…wait for it! )and is also low in calories! Before you run to grab that bunch, we are not done yet! Spinach is also loaded with flavonoids which serve as antioxidants that protect our body from free radicals. Furthermore, it contains anti-cancer substances, too. Moreover, it is very healthy for the heart. Spinach is readily available everywhere, around the year, and it is very versatile. Now, go ahead, grab that bunch of goodness AKA Spinach and start your journey to a greener and healthier life! < Previous It is DD time for Dragon’s Den! Next > Egg-cited for Easter in Vancouver!